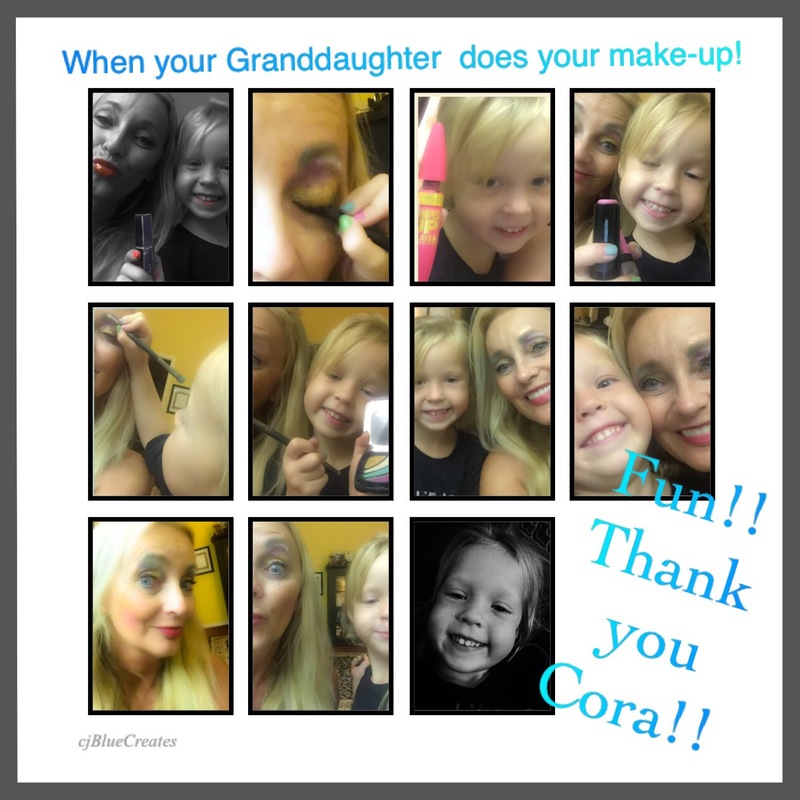 When your granddaughter does your makeup…..
My granddaughter,Cora Belle, spent the night a couple days ago and she insisted on playing makeup. I was all too happy to play along, who doesn’t love a makeover! She used lipstick, a pink blush stick, mascara, eye shadow,and eyeliner. We also applied a bit of blue hair chalk in our hair. What fun we had with a good amount of laughing through it all-quite the colorful makeover! We have 10 grandchildren and I love making memories and treasure each moment spent with them. What a gift they are! Each one a beautiful blessing!